Supporting College, Career, and Community Readiness, our middle school, and high schools provide opportunities for students to thrive and flourish in a safe learning environment. While remaining focused on academic success, character education, collaborative learning experiences, and college and career exploration are at the forefront of what we do. Visit our middle school and high school web pages to learn more about each campus. HCISD earned 101 academic distinctions for the 2017-2018 school year. 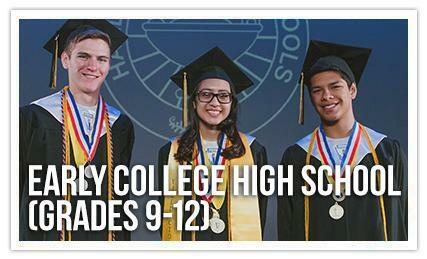 Coakley Middle School, Gutierrez Middle School, Memorial Middle School, Vela Middle School, Vernon Middle School, Cano Freshman Academy, Early College High School﻿, and Harlingen High School South were recognized for their academic performances. 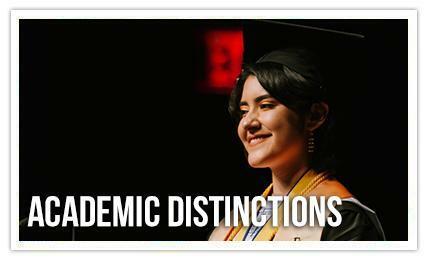 Harlingen School of Health Professions earned all possible seven distinctions. STEM² Preparatory Academy provides students the opportunity to explore the areas of science, technology, engineering, math, and biomedical sciences. The school features a small learning environment that incorporates 1:1 technology. In class, students are challenged to tackle complex, global issues, all while cultivating the 4C’s — Communication, Collaboration, Creativity, and, Critical Thinking. 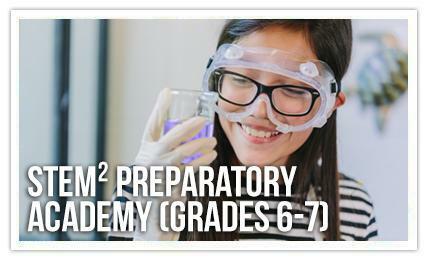 Watch this video and learn more about STEM² Preparatory Academy. HCISD’s newest specialty school, World Languages Academy at Vernon Middle School, will feature small learning communities with the goal of developing multilingual and multicultural students that will be prepared to compete in a global economy. 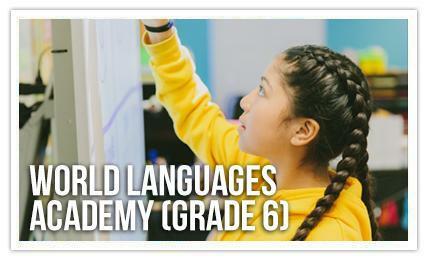 The World Languages Academy will be open to incoming sixth-graders with the addition of a grade level each year and is a natural progression for students in the district’s Dual Language Academies to continue their language studies into their secondary school years. Learn more about the World Languages Academy. This technology-focused campus equips ninth grade students with the tools to prepare for high school and beyond. Students collaborate on projects, facilitate their own learning, and participate in extracurricular sports and fine art programs at Harlingen High School and Harlingen High School South. Cano Academy was recently selected from over 1,000 schools worldwide to participate in a new Pre-Advanced Placement Program. The program offers instructional resources and classroom-based assessments to improve college readiness for all students. 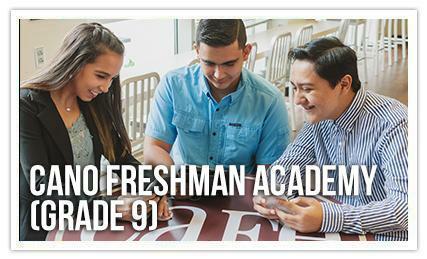 Watch this video and learn more about Cano Freshman Academy. Harlingen offers students close proximity to several leaders in the healthcare industry. Students entering 8th grade, they have the opportunity to begin their own medical pathway at Harlingen School of Health Professions. In addition to being able to balance athletics at Harlingen High School and Harlingen High School South, our students spend part of their days working in real healthcare facilities. From dentist offices, to hospitals, our students work with patients, help with medical surgeries, procedures, and truly gain an authentic learning experience. HCISD recently established a partnership with UTRGV to identify talented HSHP students in their junior year to place them on a path towards the UTRGV School of Medicine. 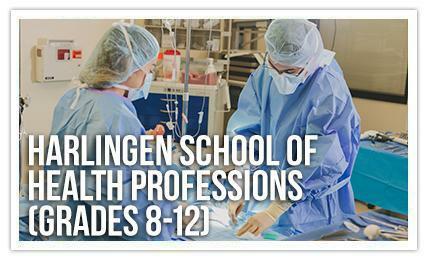 Watch this video and learn more about Harlingen School of Health Professions. 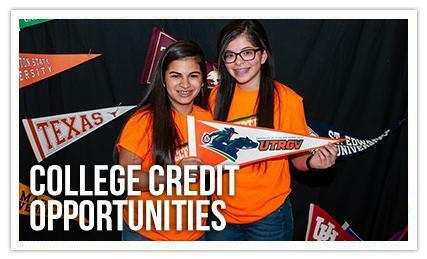 Partnering with University of Texas Rio Grande Valley, Early College High School students are able to graduate high school with two-years of college credit. Students can concentrate on earning their basics or focus on engineering or teaching degree paths. 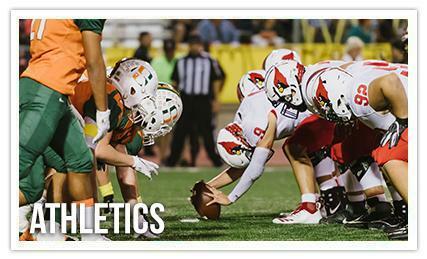 Early College High School students have the opportunity to participate in sports at Harlingen High School and Harlingen High School South. Watch this video and learn more about Early College High School. 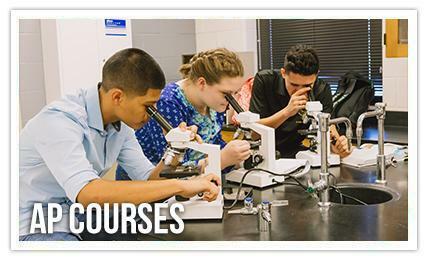 HCISD partners with Texas Southmost College to provide college credit courses to Harlingen High School and Harlingen High School South students. By participating in our Dual Enrollment Program, students save money and become prepared for college-level courses. The Pre-Advanced Placement Program allows students to possibly earn college credit while still in high school. Students are given the opportunity to show mastery in college-level courses by taking the AP exams in May of each school year. It has been shown that students’ master in-depth content at the college level more easily after completing Pre-AP and AP courses in high school. Students also acquire sophisticated academic skills and increased self-confidence in preparation for college. Focused on post-secondary success, our seven academies provide students the opportunity to explore their passions, gain authentic career experiences and earn certifications. Our academies include: Apprenticeship Academy, Automotive Academy, Firefighters Academy, Health Science Academy, Media Arts and Communications Academy, Public Services Academy, Veterinary Academy. 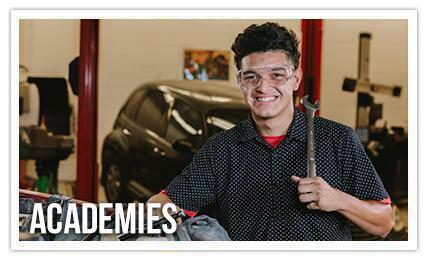 Learn more about our Academies. HCISD Robotics gives students early exposure to authentic learning experiences in the field of STEM. Our middle school and high school robotics teams put their skills to the test with First Lego League and First Tech Challenge competitions that mimic real-life scenarios and address pressing issues facing the world today. Project Wave is an example of a STEM-based collaborative project between Harlingen High School, Harlingen High School South, and Early College High School robotics teams. 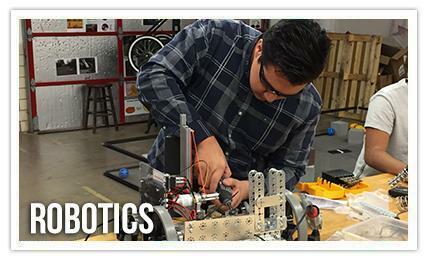 Learn more about Robotics at HCISD. Continuing a standard of academic-excellence, HCISD has expanded fine arts programs across the district. 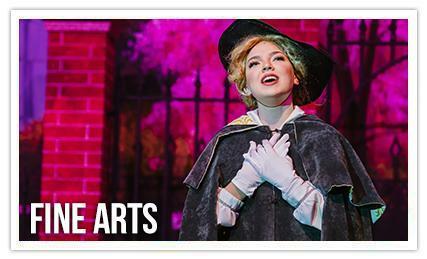 Students have the opportunity to explore their creative talent for acting, dance, and singing by participating in theatrical productions, concerts, and competitions. Tickets to performances in the HCISD Performing Arts Center can now be purchased online. Winners of competitions include Harlingen High School South’s One-Act Team, who won the Spring 2018 UIL State Championship. Harlingen CISD has been honored with the Best Communities for Music Education designation from The NAMM Foundation for its outstanding commitment to music education. The Best Communities for Music Education designation is awarded to districts that demonstrate outstanding achievement in efforts to provide music access and education to all students. 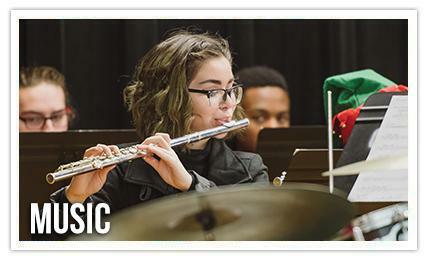 Band, orchestra, and choir are offered at the middle school and high school level. Learn more about the HCISD Performing Arts Center. Playing sports at any level can be a key part of the school experience and have an immense and lasting impact on a student’s life. As our coaches train competitive athletes, they are teaching students skills they will carry well beyond the sports arena. Athletic opportunities at HCISD include baseball, basketball, volleyball, cross country, football, golf, tennis, track, softball, soccer, swimming and diving, water polo (coming soon). Students have the opportunity to shine in their sport and compete in the state-of-the-art HCISD Aquatic Center and historic Boggus Stadium.